On this epsisode: Big news! A exciting announcement about GTR. Plus, special guest, Fr. Gregory Jensen, pastor of Sts. Cyril & Methodius Ukrainian Orthodox Mission and the Eastern Orthodox chaplain at UW-Madison joins us. 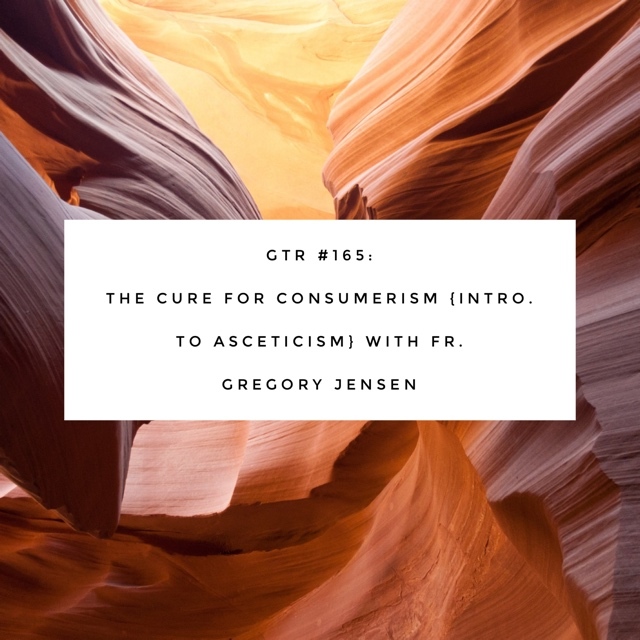 He shares insights from his book The Cure for Consumerism and the power of the ascetic life. Click here to order The Cure for Consumerism. Find out more about Fr. Gregory and the Acton Institute, here. Click here to become a GTR Good Friend (Podbean Patron) of the show. Thank you so much for your support!